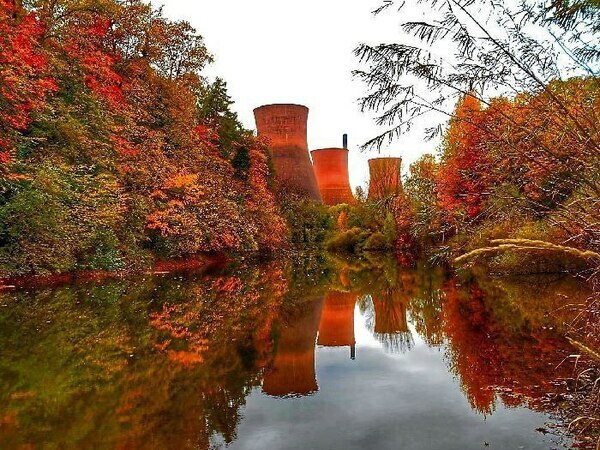 A public summit will be held to discuss the future of the iconic Ironbridge Power Station site. A five-hour public meeting will be held to give people the chance to have their say. The Harworth Group, which is developing the site, says it is also planning to hold talks with council officers and key groups in the Ironbridge Gorge. Early proposals for the site included several hundred new homes, commercial and leisure uses, and a "significant” public open space. Since then, there have been a number of suggestions for the power station, including as a museum. The Harworth Group bought the site for an undisclosed sum earlier this year. It specialises in regenerating industrial sites. It is inviting people to Ironbridge Power Station on October 11, where they will be able to speak to developers. A spokesman for Harworth said: "We are currently completing our initial technical due diligence and will be undertaking a private workshop in September with key local stakeholders including councils, statutory bodies and technical experts prior to hosting a public consultation on-site. "Following this workshop, we will be inviting residents and interested parties to attend the public consultation event to have their say on the site’s future." The public consultation run between 2pm and 7pm. The company says it will be publicising more details to people living in and around the gorge. Councillor Nicola Lowery, borough councillor for the Ironbridge Gorge, said: "Since we embarked on discussions regarding the future of the Ironbridge Power Station, both I and neighbouring district councillors have reiterated the importance of undertaking meaningful consultation with stakeholders and our local community. "I am extremely encouraged by Harworth’s recognition in the value of local knowledge and expertise in contributing to the successful transformation of the site, but also the wider area and the opportunities that could exist for the site to positively contribute to our local economy and communities. "Whilst it is early days in determining the future use, I am very optimistic for the future and been very encouraged by Harworth’s proactive approach. "It is only by working together that we will achieve an iconic and sustainable regeneration scheme and I hope the consultation process will unlock the unparalleled potential of this site, which has the ability to greatly benefit and positively contribute to the local area, World Heritage site and our local economy." The power station was closed in November 2015 and demolition plans, including the destruction of its four pink cooling towers, were submitted by former owners Uniper in September 2017. Councillor Eric Carter has called to use the opportunity of redeveloping the site to reconnect Ironbridge to the main railway line to Birmingham.